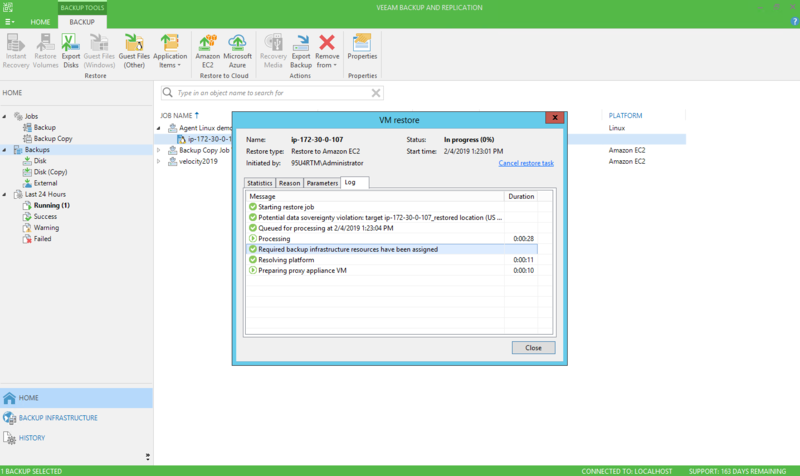 Veeam has been expanding the capabilities of the Veeam Availability Suite product set. 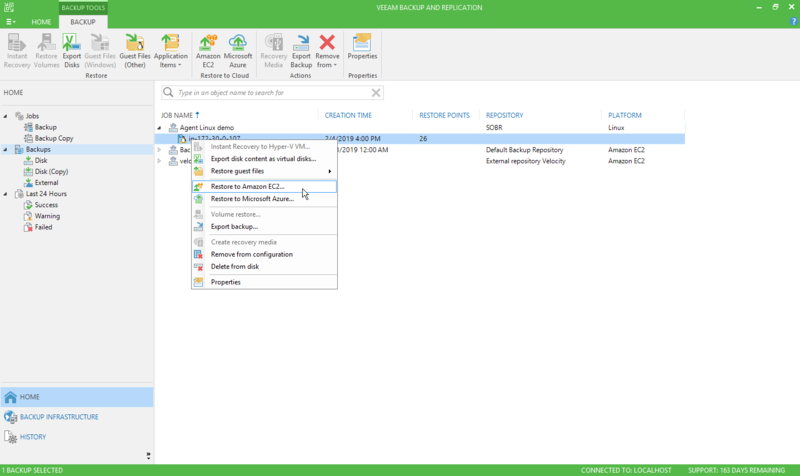 Recently, Veeam announced Veeam Cloud Mobility, providing workload portability across clouds and different platforms. 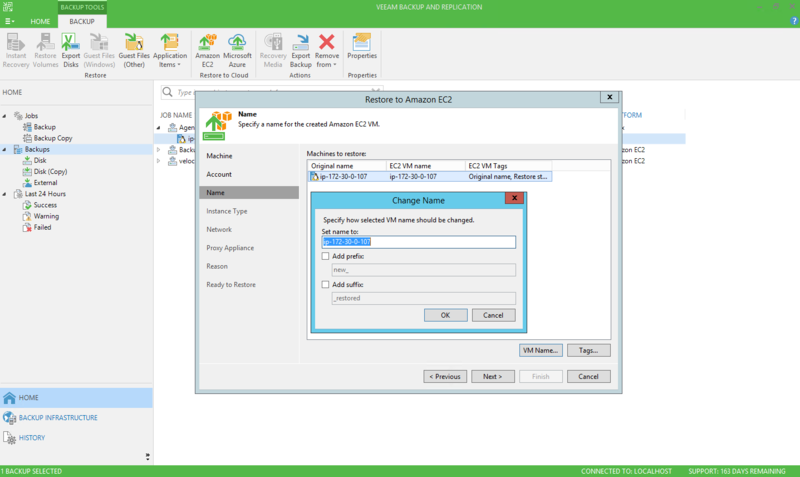 In this blog, we will focus on some of the technical aspects of the Veeam Cloud Mobility capability. 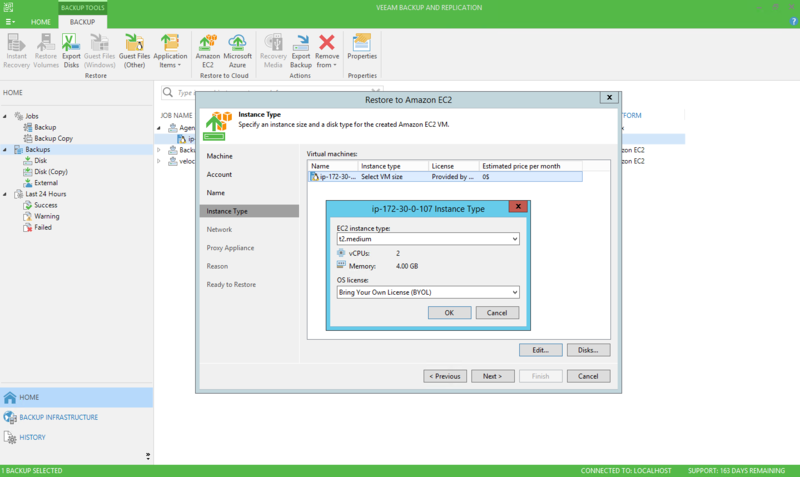 With the latest release of Veeam Availability Suite 9.5 Update 4, Veeam has provided an extensive set of restore options. Building on the existing Direct Restore to Microsoft Azure functionality, are extra restore capabilities including Direct Restore to Microsoft Azure Stack and Amazon AWS EC2. With the Direct Restore capabilities, a user can restore any backup from any on-premises platform and move them directly to the cloud. This is what we will look at here. We select the AWS account we want to use, the AWS region, and then the data center region that we want to restore the workload too. We can now change the original VM name to an EC2 specific instance name, with additional capabilities to add prefix and suffixes. Select the EC2 instance type and what kind of license you want to use, whether to bring your own (BYOL) or lease a license from Amazon. Pick your Amazon VPC, subnet and security group. Pick the proxy options (this will be used to do the actual restore into Amazon AWS EC2). Then the restore will begin and the status will update during the process. That is how simple it is to move a workload to Amazon AWS EC2 from an on-premises backup. The great aspect of this capability is its simplicity. Seven to eight steps and you have migrated a workload to the public cloud. The steps are the same for Microsoft Azure and Microsoft Azure Stack as well. 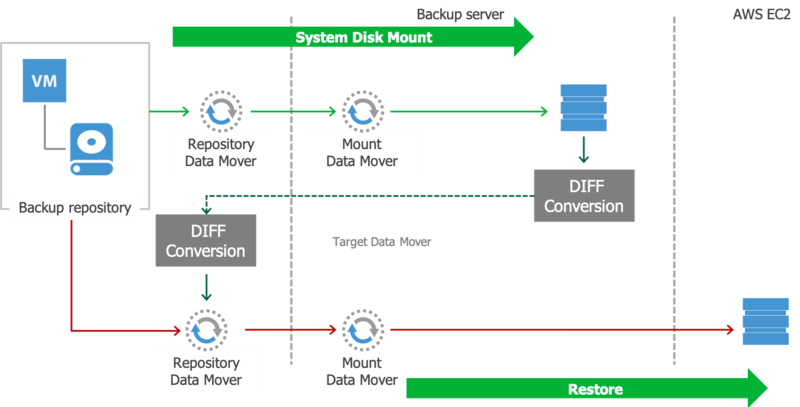 Now with any migration, it is important to understand that a conversion has to take place. When understanding the technology in migrating from different platforms, it is important to understand what is actually happening. 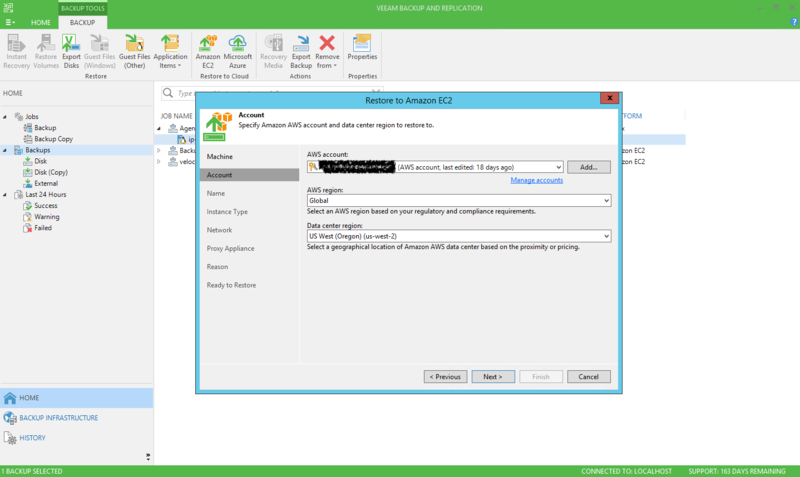 Let’s take an example of moving a VMware vSphere VM to Amazon AWS EC2. As one expects, Amazon is not running VMware vSphere to provide the IaaS capabilities in EC2, which means they are using a different hypervisor. 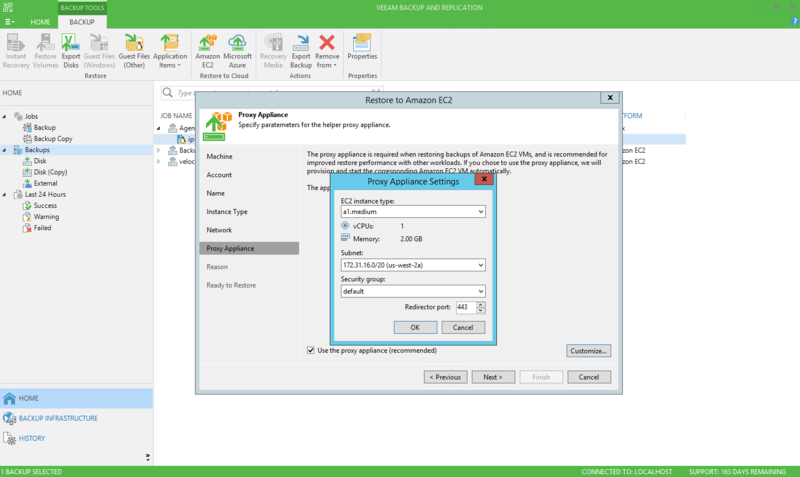 In order to restore a VMware vSphere VM to Amazon AWS EC2, a conversion has to take place. 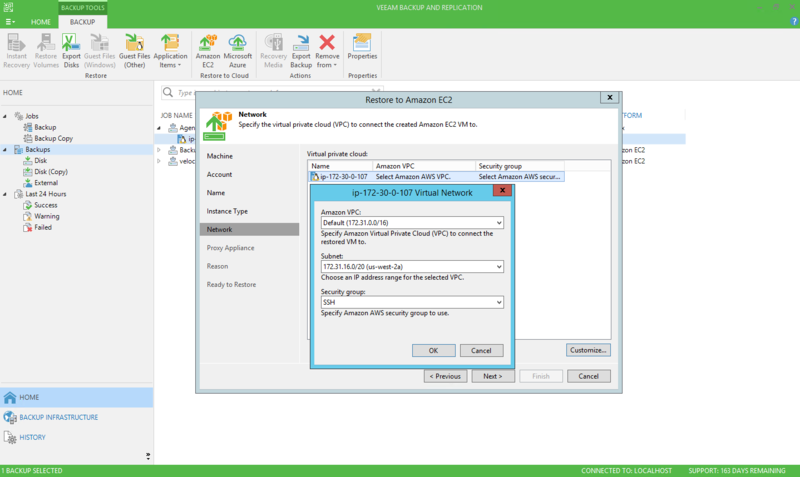 This allows for the VMware vSphere virtual machine files (vmdk, .vmx) to be changed to the Amazon equivalent. Also, Amazon AWS EC2 does not directly support GPT boot volumes, so a conversion is necessary. The diagram below shows how this works. As companies invest further into the multi-cloud capabilities and strategy, it is becoming a more complex environment to operate in. With the new Veeam Cloud Mobility having the key capabilities to move workloads from and to any platform in any location is a major step forward in simplifying the complexities that a multi-cloud strategy brings. If you or your customer have not yet taken a free trial of Veeam, now is the perfect time to try Veeam Availability Suite for your cloud strategy!